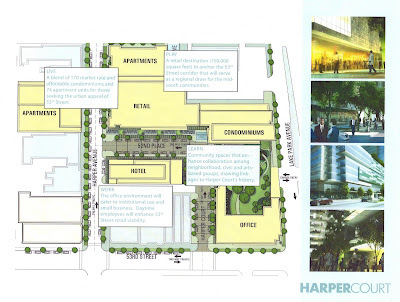 Hyde Park Progress: Harper Court: Rosy Future or Vermilion-Tinged Fantasy? 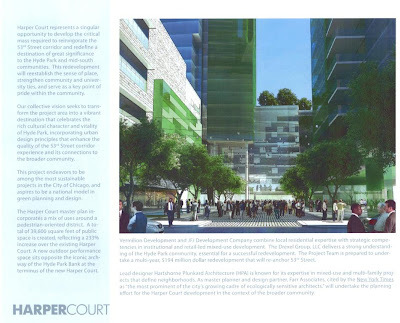 Harper Court: Rosy Future or Vermilion-Tinged Fantasy? Let's Party Like it's 2006? 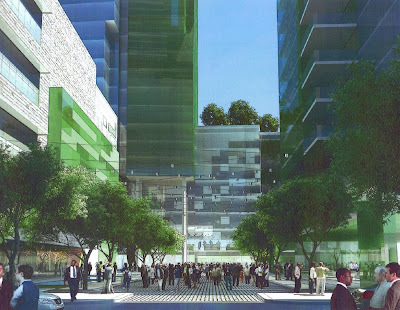 Well, almost all development plans are equal parts aspiration, wishful thinking and vaporware. 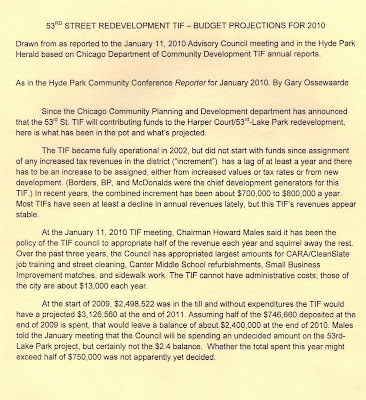 The important question to me is whether the PLAN is a good one -- does it in fact generate a critical mass of population and amenities that takes HP to the next level? Do the traffic flows (buses, pedestrians, NOT just cars) make sense? Will public spaces be inviting, or dark and windy? Are the retail footprints the right size to attract the businesses desired? And so on. Of course, this is just one development, and it doesn't have to cure the common cold to be successful. I think the combo of this and the Antheus project adjacent to it can have positive, rather than negative influences. 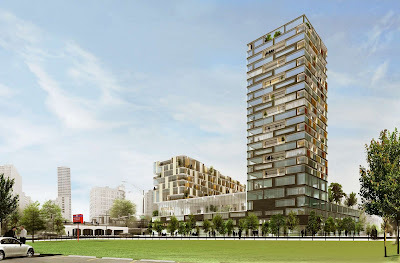 Expectations of condo sales will HAVE to be scaled back, in the middle term, but rental units, especially modern ones with amenities, could be quite successful. 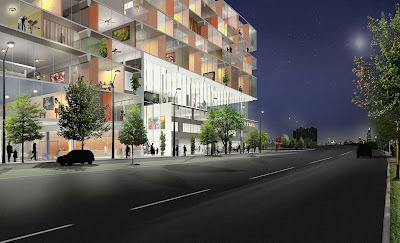 One can find good (and bad) case studies throughout Chicago for similarly-sized projects.